Ziegler: Heriz design mellow colours, and impressively spacious decorative execution distinguish this outstanding example of the celebrated Ziegler classification. 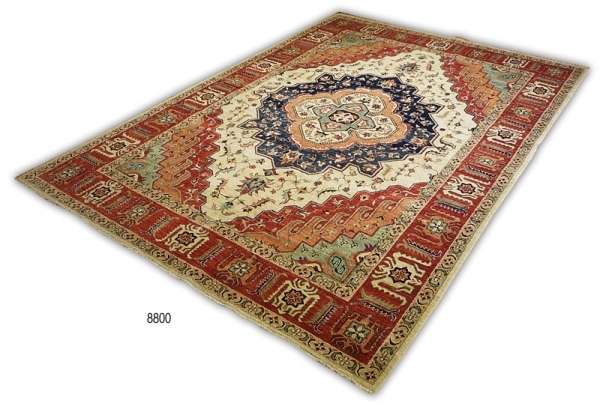 Originally created in the exclusive west Persian knotting workshops of Sultanabad established by the famous nineteenth century production house of Messrs’ Ziegler & Co., this unmistakable approach subsequently became one of the most sought-after of Oriental Carpet styles following the high favour it enjoyed among international decorators and interior designers. This is a Contemporary Afghan weaving that reproduces the muted subtleties of the famous 19th century Ziegler-Mahal carpets. 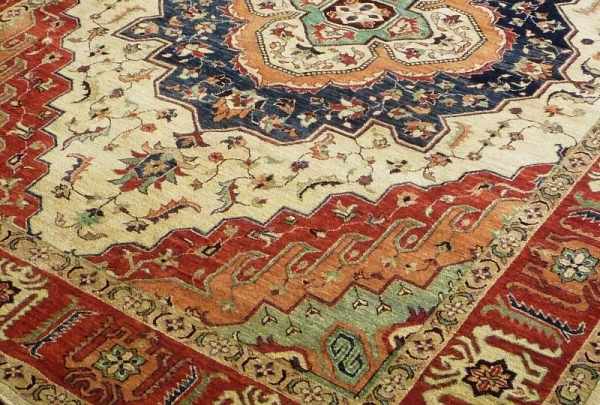 Hand span Ghazni wool, and vegetable dyes are used to create a soft aged look that can complement a traditional or be stunning feature in a minimal setting. Hand knotted Wool pile woven on cotton weft and warp.